While some teens view summer as a time to let go of all the stress and challenges they usually face, Gen Z in large part, is embracing a different view of summer. For many U.S teens, there’s still time to step out of their comfort zone, uncover skills and characteristics they may never have known they had, and push themselves to new limits. As a generation, Gen Z (born after 1995) embraces diversity, revels in being global citizens, and values social justice and causes more than their predecessors. Connected like none other, they tear down backyard fences and build new life pathways. Service trips are a great way to embrace all of those things. Okay, if you’re cynical, you could say that service trips are little more than college admissions resume builders. Yes, it probably helps, but for me it is more about stretching for achievable challenges, experiencing cross cultural adventures, learning new, more sustainable leadership tactics and mastering empathy over sympathy. I’m only 15 but I’ve been on four service trips already and I’m not through yet. So here are twelve tips I believe can help teens make the most of a summer service trip. If you’ve already done one this year, use this as a checklist and PLEASE share your own tips at the bottom of this blog post as well. When your volunteering in a foreign country, always try to use the native language. Even if you’re not fluent, don’t be afraid to say hello or goodbye in their language. This can help build relationships with people that would have never happened before! When I visited Ecuador for a service trip, we also took some time out of the trip to learn about the local culture. It’s interesting to learn about how others live around the world. Going to museums or learning about the indigenous people can be fun! Watch a video on the basic history or current events of the area you’re visiting. This will enhance your trip and give you a glimpse into the mindset of a local. I know this sounds really random, but playing with kids from other countries is actually one of my favorite things to do when I’m not working. Playing with little kids is always fun, even if you don’t speak their language. Kids are easier to spend time with because they don’t care if you can’t speak their native tongue. They just want to play! 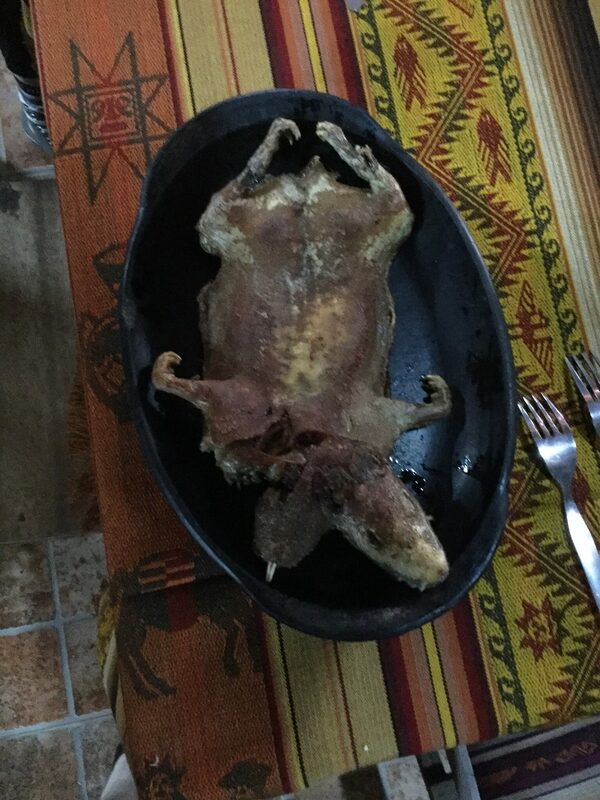 I never thought I would eat a guinea pig, but when in a foreign country always try the local cuisine. Eating their specialties helps to immerse yourself in yoursurroundings. Even if it is bugs, weird looking fruit, or an animal you had no idea people would eat, don’t be picky You wont regret taking the opportunity when you had the chance. If you’re a foodie you might just have a unique new recipe and you can bet while some memories will fade, that one probably won’t! 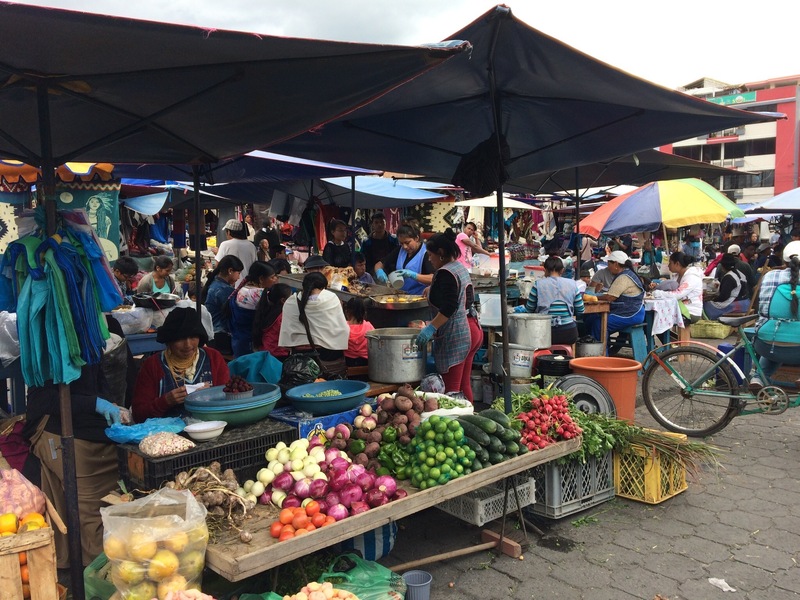 This also goes along with local cuisine, but in markets you can see how individuals from the area truly live. Some of my favorite memories from service trips are walking through markets. Stay away from the street food though! No one wants to be up all night because of a nasty looking chicken wing. It’s fun just to observe and watch locals barter and trade for food and other products. This is also a great place to practice speaking your new language! Try to negotiate with one of the vendors for a product you have your eye on! Try to disconnect with the world back in the US. I know this can be hard, but it’s totally worth it. It can help you get perspective on the way we live in the states. When you’re glued to your phone, you’re not fully appreciating the surrounding area. If you bring an actual camera, you won’t constantly be on your phone. Don’t take too many pictures. I know we all want to have that cool travelling insta feed, but don’t go overboard! My first service trip I took a million pictures, but then I realized that I wasn’t being in the moment when I was there! Just try and take one picture, and then put the camera down. You will enjoy it more in the moment! Sometimes writing in an old school journal can help you express your feelings about what you’re seeing. 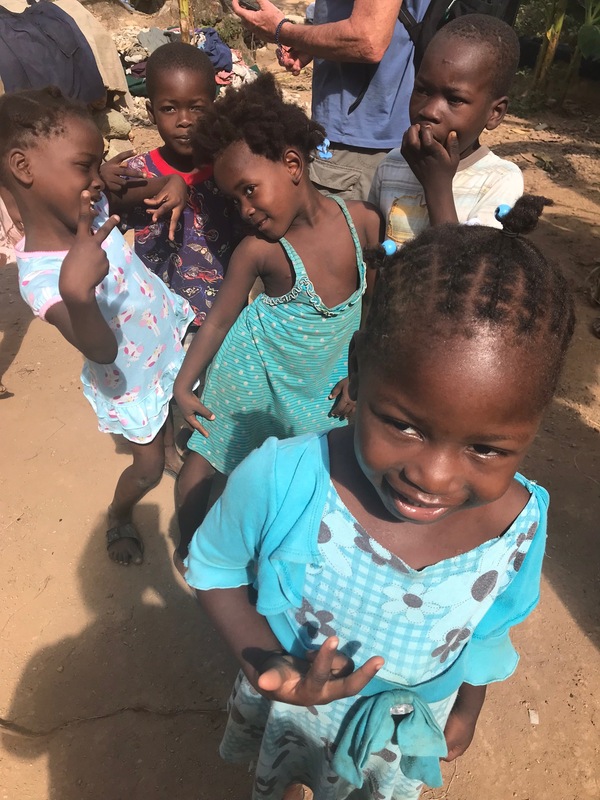 Coming from the US, if you’re seeing extreme poverty, it’s hard to process. Writing in a journal can help to sort your feelings out. Also, the journal will help you remember little details you witnessed. Try to draw pictures too, it’s a great way to unwind at the end of the day. The first trip I went on, I imagined an amazing experience that would trigger greater perspective when I landed at home. It was amazing, but it’s also really difficult to see extreme poverty and return to normal life once at home. It changed my whole viewpoint on the mundane activities I take part in everyday. If you leave for a trip with no expectations, I promise, you’ enjoy it more and in different ways than you imagined. One thing I like to do when returning to the US is to reflect on everything I just experienced. Being in a foreign country can be a blur, and it’s hard to comprehend every thing you see. When you’re on the airplane home, think about all of the people you met and helped. It’s a great way to finish a service trip, because normally when you’re in the middle of it, you don’t have much down time to sit and reflect. The flight home is a great place to do this. When you get back home, tell all your friends and family about the country you visited. Mission trips are eye-opening experiences, and sharing with your family will help you with any unresolved issues you have. Don’t be afraid to tell your parents or close friends how your life has changed from your trip! The best way for another person to understand what you experienced is for them to go as well! Encourage your friends and family to go on a service trip. Maybe instead of going on vacation for spring break you could go on a service trip with your family or classmates. I went on a mission trip with my family and it really brought us all closer together. 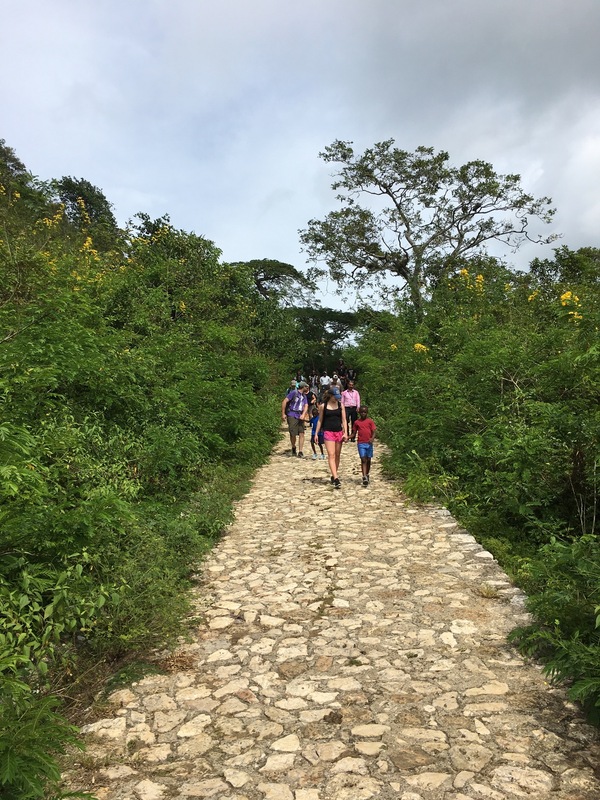 Whether you help build a road, work in an orphanage, dig a community well, or work to put Puerto Rico back together after the latest hurricane, a service trip is a great way to go somewhere and do some good at the same time! I’d love it if you tell us what your favorite service trip is and why. Oh and share this post to inspire the curiosity of your peers. WeRGenZ is also looking for new members of our WeRGenZ Teen Think Tank. If you’re curious about becoming an authentic voice for our generation, it doesn’t matter where you live. All you need is an internet connection, probably a smart phone, a desire to speak out about your passions and purpose, and a willingness to connect and collaborate with other teens all over the U.S. and around the world. It’s time the world understands who Gen Z really is. It’s our turn!